Set of two silicone avocado savers. 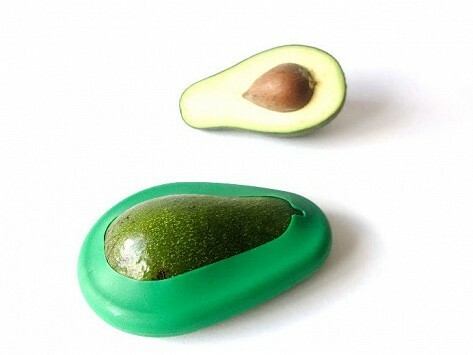 Food Huggers create a tight seal by wrapping around your leftover avocado and saving it for later use. Dimensions: 3.9" x 5.3" x 1.5"
love it. I use them for avocados and pears too!! Keeps avocados fresh much longer! 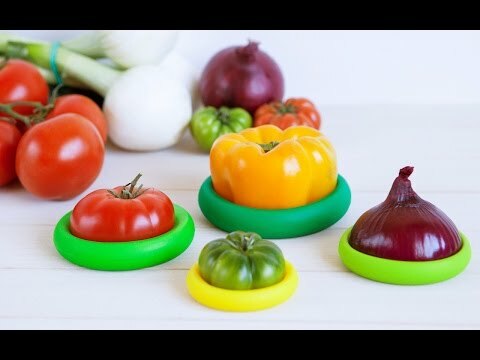 I bought these and the Silicone Food Savers. Use them all the time and they work great. My father says this works great. I bought these avocado huggers as a gift. My father says they work great! Love them. The sizes work great as do the actual avocado savers. Great purchase choice on my part. Great invention to choose, Grommrt!